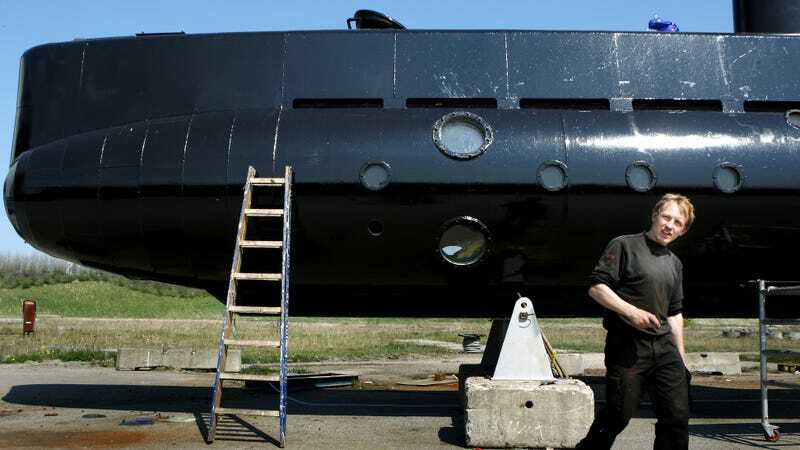 Divers with Danish police have located “the decapitated head, legs and clothes” of Kim Wall, the Swedish journalist who disappeared during a ride on Copenhagen Suborbitals co-founder Peter Madsen’s DIY UC3 Nautilus submarine, the Associated Press reported. Madsen originally claimed the submarine went down due to a “minor problem with a ballast tank” that subsequently turned into a “major issue,” but that he had dropped Wall off in Copenhagen without incident. He then changed his story, claiming Wall was killed by an accident with a hatch that crashed down on her head, and that he then disposed of the body at sea. Maden also claimed he sunk the submarine deliberately out of guilt, though he denied mutilating Wall’s body. However, according to the AP account, the evidence recovered Friday by authorities does not back Madsen’s story. Copenhagen police investigator Jens Moeller Jensen told the agency Wall’s remains did not exhibit any skull fractures and were discovered in a plastic bag with a knife near where other parts of her corpse were found. Previously, it was reported other remains recovered by police had stab wounds seemingly inflicted to release air and keep it on the sea bed. Authorities also allegedly discovered snuff media on Madsen’s computer. Copenhagen Suborbitals, a hobbyist group which assisted in the construction of the UC3 Nautilus, is attempting to build a manned space capsule to launch 100 kilometers skyward, beyond the Karman Line where the Earth’s atmosphere gives way to outer space. It is largely crowdfunded and staffed by approximately 50 volunteers; Madsen left in 2014 amid a rocky relationship with other members of the group. That year, a group called the U3 Nautilus Submarine Association was formed to manage the vessel, but later ceded control to Madsen.